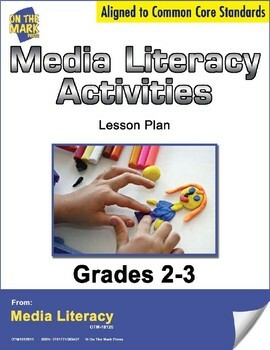 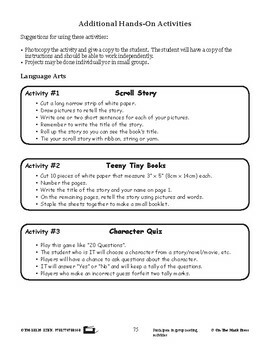 This lesson plan consists of hands on activities. 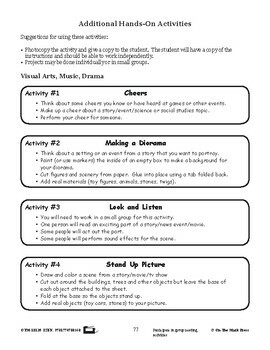 Projects may be done individually or in small groups. 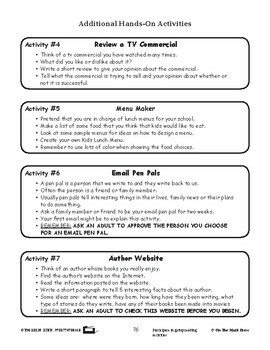 Activities include a character quiz, reviewing a TV commercial, menu maker, email pen pals and making a diorama.